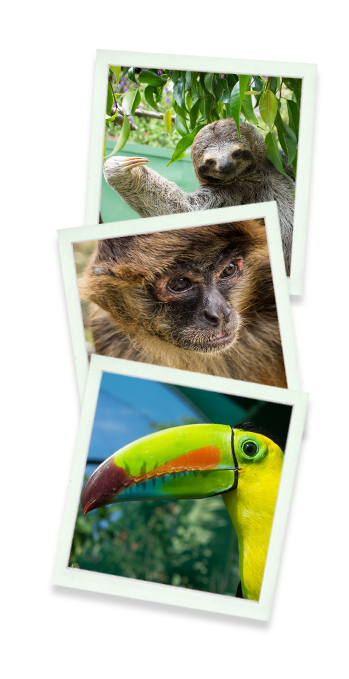 The Wildlife Rescue and Rehabilitation Center of the Toucan Rescue Ranch focuses on the care, rehabilitation, and study of Costa Rican wildlife. They receive and care for confiscated, sick, and injured wildlife from government agencies. They give the animals a loving home while providing appropriate medical treatment and rehabilitation in order to return them safely to the wild.